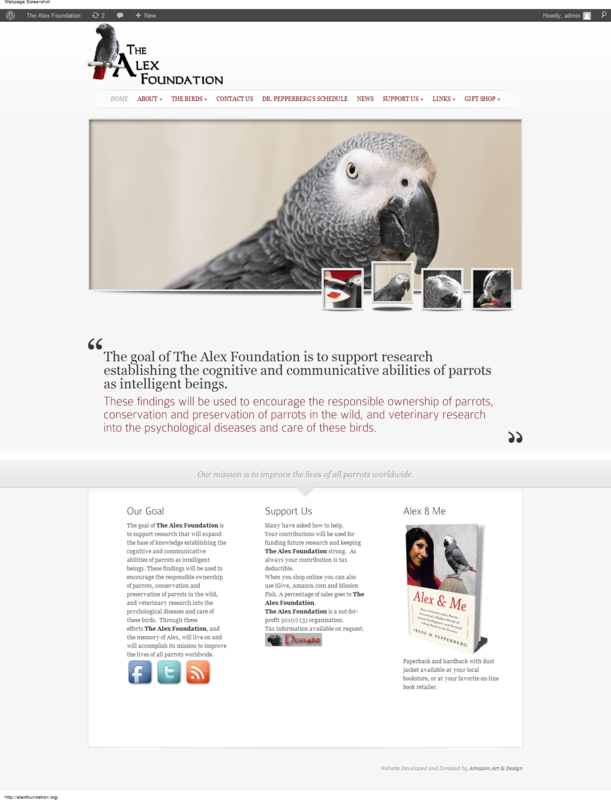 Just in case you haven’t noticed, The Alex Foundation has a spiffy new website. Amazon Art & Design donated the website makeover as a part of their yearly charitable contributions. I highly recommend checking out this extreme makeover, and letting them know how much you like it. 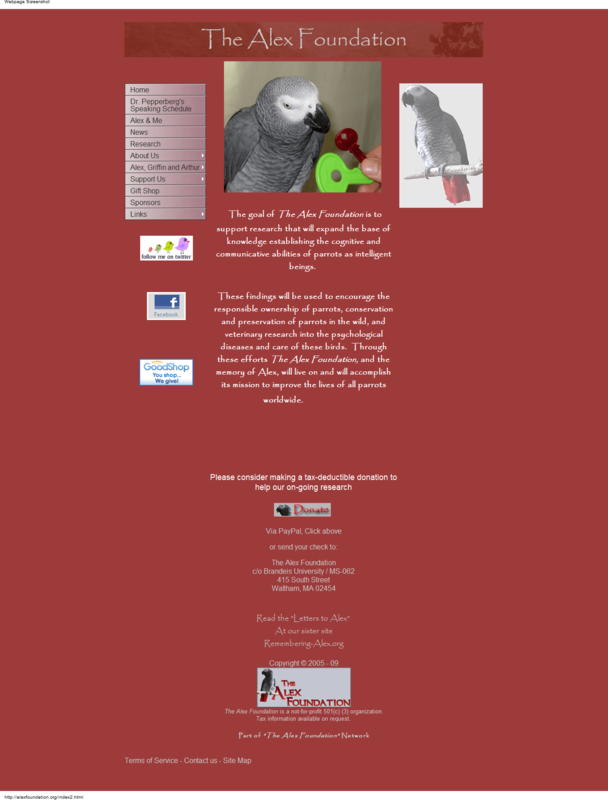 While you are there, also check out The Alex Foundation’s gift shop – they have lots of great items, and all proceeds go to supporting the foundation and its work with African Grey Parrots. What is The Alex Foundation?